It can be difficult to provide a concise analysis of the cost benefits of operating your own automated home or business sprinkler system, but there are plenty of steps that can be taken to guarantee that you will see your water bills lower. Proper use of your sprinkler system, as well as maintenance and general upkeep are required to see to it that you get the most out of your system and see the greatest cost benefit. To do this you are going to have to keep a number of factors in mind and make the proper preparations before the spring begins. *Understand Your Sprinkler Controls: Your automatic sprinkler is controlled by a central box that can be used to set the time of day that it will water as well as how long this will last. To get the most out of your sprinkler you will need to understand how to operate the box itself. You can find instructions online after a simple search, and if you have any questions you can easily contact a lawn sprinkler company like JWR Sprinklers for help. 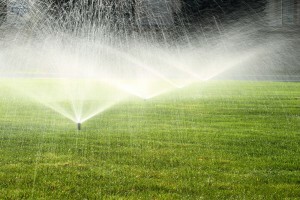 * Change How Long You Water: Is your sprinkler system running too long? See if your yard is suffering from over-saturation after it has been watered. If so, you can probably afford to dial back the length of time that it runs. * Water at a Different Time: It often more efficient to water your lawn at night or the earliest part of the morning. This is because as it becomes hotter in the day the consumption costs actually increase. To get the most out of your sprinkler system you need to be aware of when it is cheapest to water. * Eliminate Runoff: Adjust your system so it cycles through a watering rotation rather than handling it all at once. Three small 5 minute cycles in each area is often adequate for watering purposes and will give the soil time to absorb the water. If you let it run too long you will have runoff and end up wasting water! * Have your System Checked: Before the spring begins you will need to get the assistance of a lawn sprinkler company to have your system properly serviced. A spring sprinkler start up service will address any concerns before they become an issue, finding any leaks or inadequacies in your sprinklers and repairing them so they will be working as best as possible. Take all of these items into consideration if you’re looking to save money on your watering. Developing a good watering plan for your sprinkler system is key to getting the most out of it and saving yourself considerable money. *Understand Your Sprinkler Controls: Your automatic sprinkler is controlled by a central box that can be used to set the time of day that it will water as well as how long this will last. To get the most out of your sprinkler you will need to understand how to operate the box itself. You can find instructions online after a simple search, and if you have any questions you can easily contact a lawn sprinkler company like [company_name] for help.